Vistaprint is offering up these embroidered Christmas stockings for only $7.99 each + FREE 7 Day shipping! 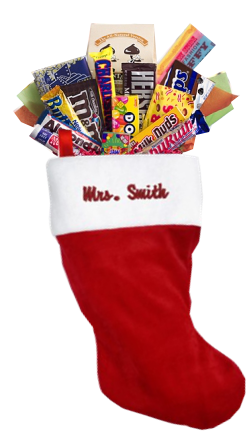 Not only would these personalized stocking be great for your children in your house, but they would also make a great gift “bag” for your favorite teacher or to donate to the Troops or Homeless shelters! Head on over here to personalize your stocking(s). Your final cost will be only $7.99 for a personalized stocking shipped straight to your door! Even better, you can create multiple stockings at the same low price of $7.99 and still score FREE shipping on your entire stocking order!